Syrian refugees given protection in the UK are benefitting from efforts to help them integrate in their new society, according to a major new United Nations study led by a City researcher. Dr Christopher McDowell, of the Department of International Politics, said the findings showed the British government and local authorities were working well in implementing the UK’s resettlement programme. However, he warns more could be done to allow refugees to find their feet quickly, and that the task of resettling people with complex needs must not be underestimated. The findings were published in a new report from the UNHCR (the UN refugee agency), which conducted the study in close collaboration with City and the International Organisation for Migration. According to the report, 8,000 Syrian refugees have resettled across Britain in the past two years. Dr McDowell said: “Our study shows that the UK Government’s Syrian refugee resettlement programme is going well, with strong coordination across central government and local authorities. “We also highlight the fact that resettling refugees with very complex health and social needs should not be underestimated. And there are risks for particular groups of refugees. The study, which is the first of its kind by UNHCR in the UK, interviewed refugees from the Syrian Vulnerable Persons Resettlement Scheme (VPRS), which was launched by the UK Government in 2014 and aims to resettle 20,000 refugees by 2020. The survey comprised interviews with 167 resettled refugees across the country, as well as local authorities and service providers, between August 2016 and January 2017. The refugees came to the UK after spending time in Lebanon, Jordan, Turkey, Egypt and Iraq. Dr McDowell’s team found that a change in the status of refugees would help them to integrate. This was identified early on in the study and discussed with the Home Office, resulting in the government granting refugee leave rather than humanitarian protection under the VPRS. 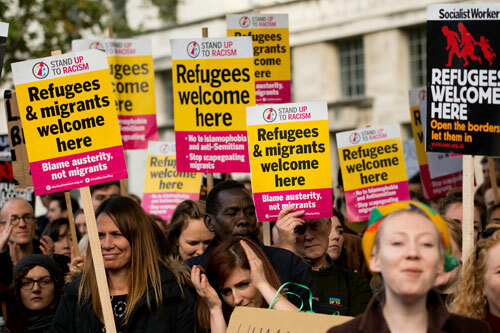 “The status of Syrian refugees in the UK was changed from July 2017, giving refugees confidence in their ability to integrate,” said Dr McDowell. While the study showed the programme working relatively well, it nevertheless highlighted areas for improvement, notably in English language provision, and further support for housing and employment facilitation. Among key recommendations was the establishment of a national integration strategy to better inform and guide those supporting refugees, for the benefit of this population. Other proposals included a review of surge capacity to ensure local authorities are able to support higher numbers in a short time if they chose; strengthening provision of appropriate housing by the central Government; and making family reunification planning more integral in the VPRS. Two thirds of VPRS arrivals were survivors of violence and torture or had specific medical needs. The VPRS allows them to access crucial treatment they would otherwise be denied. Still, some cited being overwhelmed by the complexity of the medical referrals. Some local authorities were also concerned about the prospect of funding healthcare after 2020. Local authorities recognised that reunification of family members can enhance integration prospects of resettled refugees, however, they expressed a lack of confidence in understanding how family reunification processes work.